We believe in starting with the end in mind first so before we decide to make a new product - we decide how it's going to be packaged. Is it solid, liquid, a cream? Our goal is to use minimal to no plastic in our products from start to finish while giving you the purest product with the least amount of contact to toxic plastics. As a result, you'll notice our products are a little different to use. Our shampoo is a hard bar in a simple paper wrap. Our deodorants are packaged in 100% tin - not aluminum and no plastic or plastic sprayed coatings. We are careful to never mix materials like Tetrapaks or paper ziplock bags with plastic liners (which makes recycling very difficult). 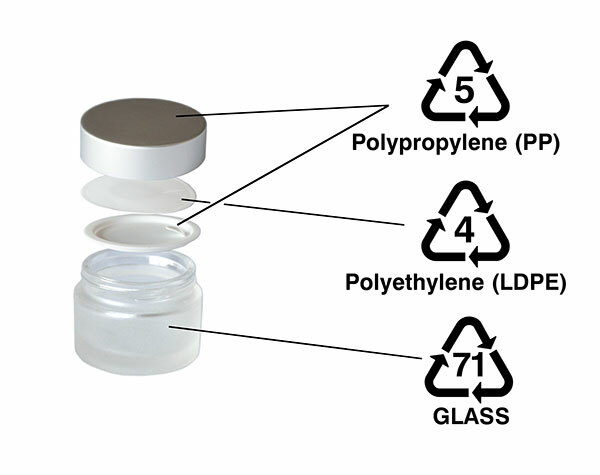 Below is a breakdown of recycling numbers for each of our packaging solutions. 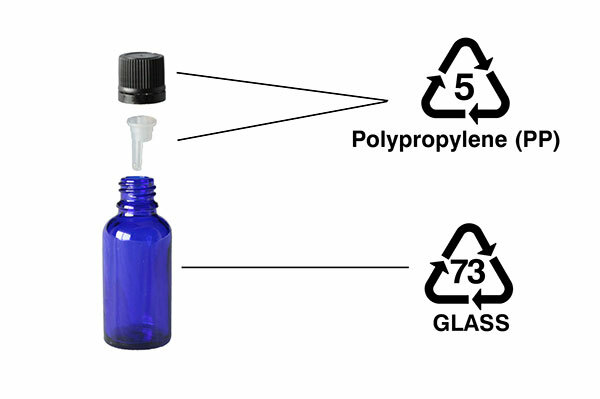 Glass / Tin / and Polypropylene (5) are by far the easiest to recycle with the least amount of energy or toxins to do so. In addition to being the best products to recycle, using glass and tin ensures our products have the least amount of contact with toxins found in most plastics (All products sold in plastic containers risk toxic leaching). All of your Riverstone Natural product's can be recycled through your local city recycling facilities. In Canada, most curbside or Blue Bin programs will accept all of the containers. 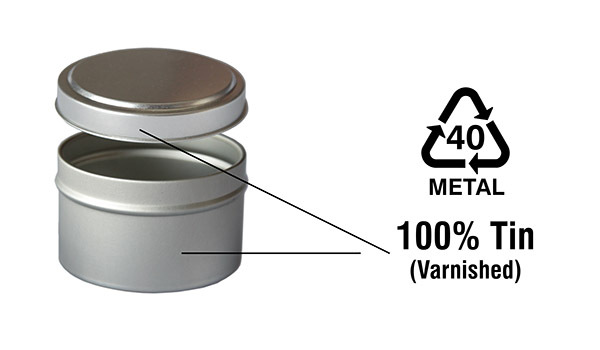 Please be sure to always wipe clean the interiors of the tins and jars before sending them for recycling. We are currently working on manufacturing a 100% biodegradable/compostable packaging for our deodorants. Imagine a world where recycling wasn't required. Imagine if we could actually grow gardens from what is today classified as "waste". We're on it!